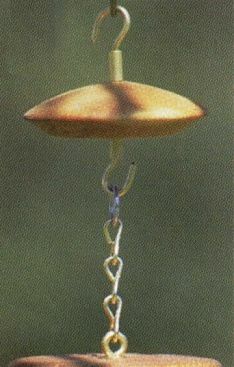 This matching accessory for any Hummingbird Feeder is designed to prevent sugar ants from reaching the nectar. The anti ant is hand turned wood and solid brass. A deep groove on the underside is filled with a sticky non-toxic substance that ants can't cross. 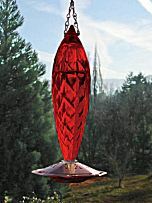 The humming bird feeder stays ant-free. It works!